The most memorable wines often aren’t the latest ones to appear before you. Wines that linger in memory require time to leave their best impressions. And so my 10 most memorable list is often an exercise more in great memories than in bottles to buy today. In 2011, however, I encountered so many pleasures simply by tasting day to day. Some candidates, like the 2009 Freestone Pastorale Vineyard Pinot Noir, already appeared in the Top 100 Wines (go to: sfg.ly/uBoGDb), but this year’s list of my 10 most memorable wines feels particularly current. While there remains a history lesson or two in the mix – notably about the potential of California – there are also extraordinary new specimens, wines that take a snapshot of the best ambitions of today’s vintners. 10 2009 Dry River Martinborough Pinot Noir (Price N/A, 13% alcohol. Importer: RO Imports): This New Zealand estate’s meticulously farmed 8 acres of the grape, managed without irrigation and bought in 2002 by investor Julian Robertson and Reg Oliver, owner of Napa’s El Molino, are a study in the pursuit of greatness. Here, then, is a case study in how Pinot can stop you in your tracks. As with a wine like the 2009 Rhys Horseshoe Vineyard Pinot Noir, which failed to make this list only because Kevin Harvey’s project got a spot last year (go to: sfg.ly/gxfIs9), you’re reminded that great terroir shows itself in an instant – testament to those who hunt it relentlessly. 9 2008 Skerk Ograde Venezia Giulia IGT Bianco ($39, 13%. Importer: Ah Wines): In February, I spent an engaging evening at Delfina with a trio of vintners from the Carso region, on the far edge of Italy near Trieste. (Go to: sfg.ly/idSRT3) The dramatic wines of Benjamin Zidarich or Edi Kante could have held sway, but it was Sandi Skerk’s mix of Vitovska, Malvasia, Sauvignon and Pinot Grigio that won the night. Beyond that lies a story in how old Europe can regain currency, and not just in an EU rescue sort of way. Gaia works both in the Nemea region and in Santorini, making extraordinary white Assyrtiko. Partners Yiannis Paraskevopoulos and Leon Karatsalos have found a way to address the modern market on its own terms. 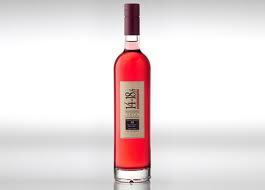 And so the 14-18h, named for the length of time grapes soak on their skins, is modish and sealed in screwcap. Every region needs a breakthrough wine; this might be Greece’s.